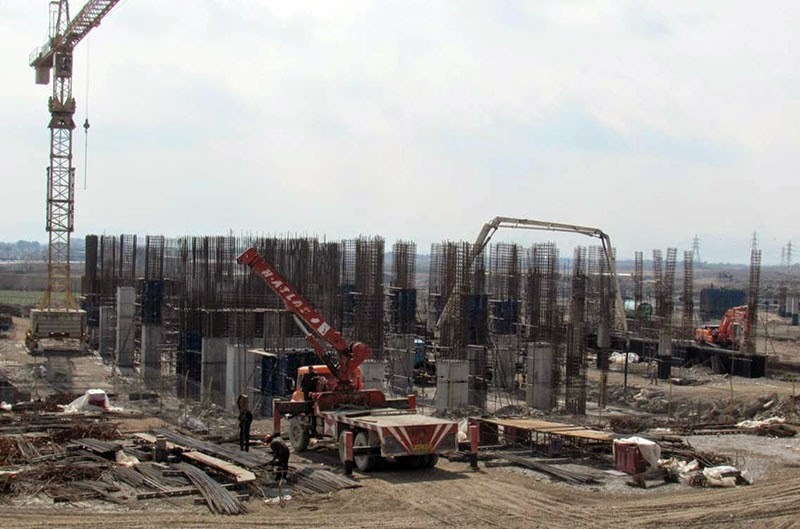 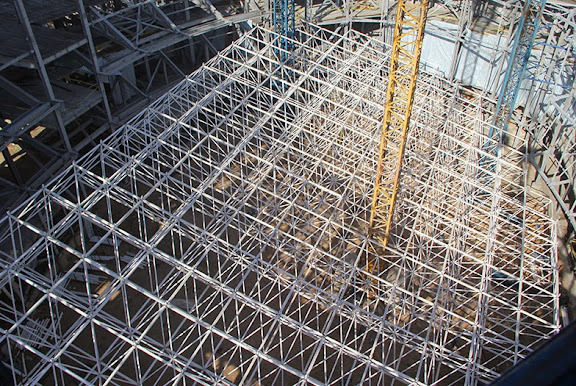 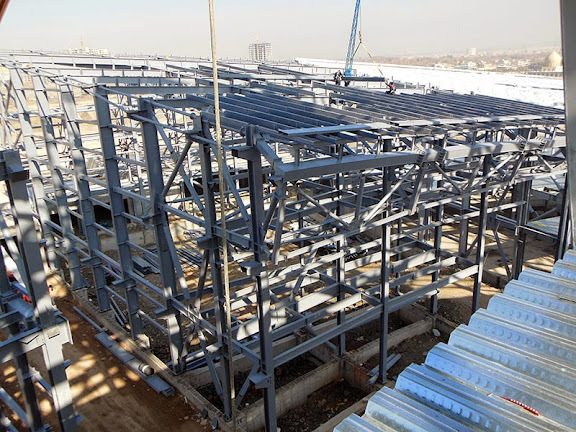 Progress plainly visible at Isfahan International Convention Center construction site since UOI previously observed 22DEC13. 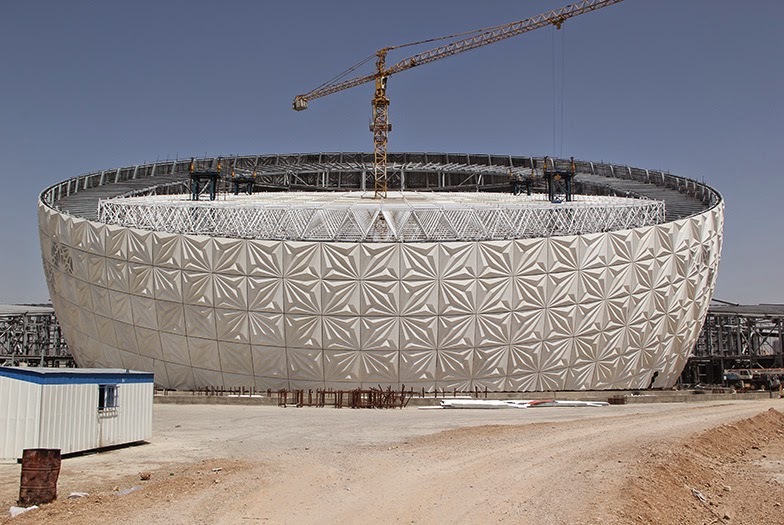 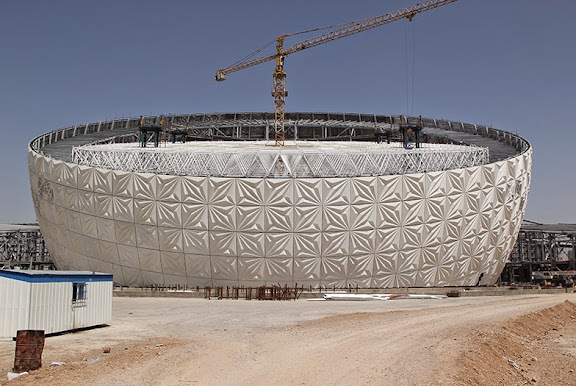 Glass Fiber Reinforced Polymer (GFRP) panels appear fitted the complete circumference of radome. 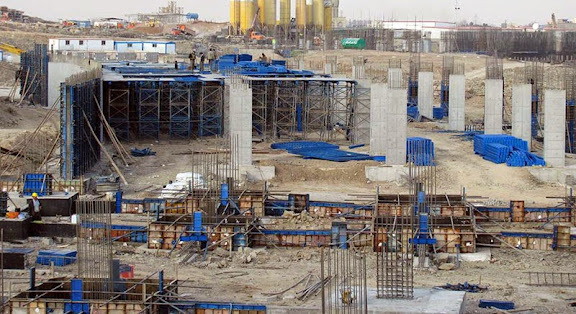 Tower crane, truck-mounted loader crane and truck-mounted concrete pump seen working site for adjoining 5 Star Hotel being constructed as part of Isfahan International Convention area.